The thirty two species of Virginia snakes includes three of the four types of venomous snakes known to most southerners, copperheads, cottonmouths and rattlesnakes. Copperheads grow to an average three feet in length and their light body is covered with darker crossbands. The head shows a characteristic copper color. 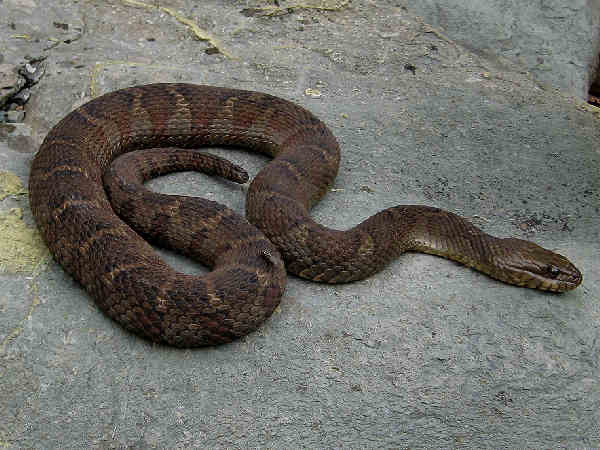 They are the most common venomous snake, found in more corners of the state. 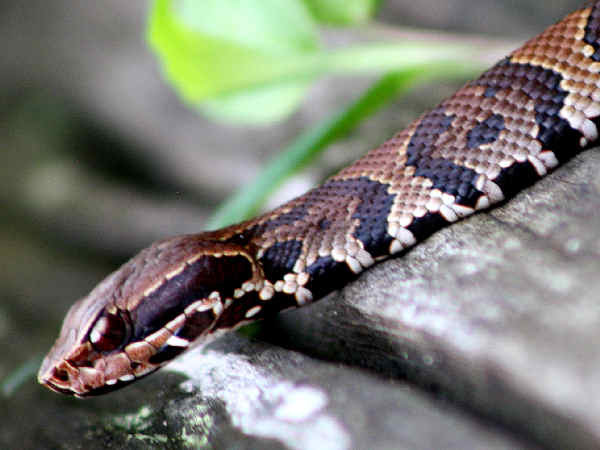 Populations of Cottonmouth Snakes pictured, are limited to water areas of the Southeast. The remainder of this section focuses on the more common and less dangerous snakes in the colubrid family. 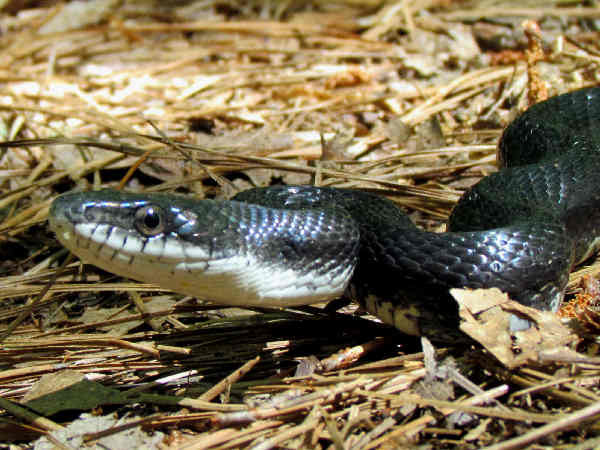 Most people recognize their common names such as garter snakes, rat snakes and milk snakes. 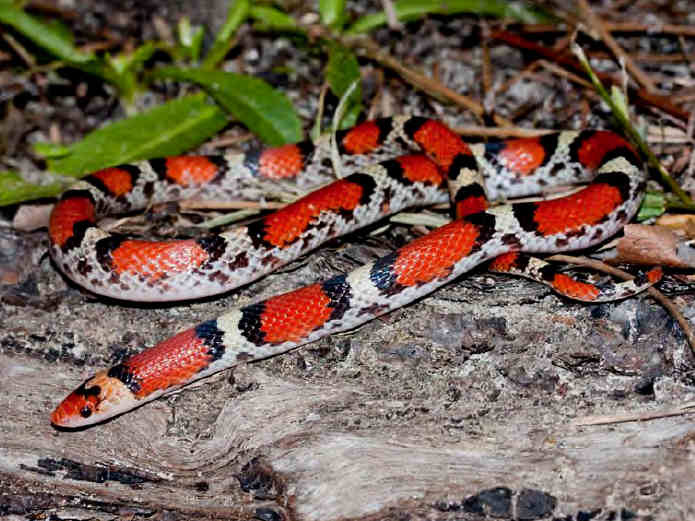 Kingsnakes and Milksnakes add a nice element of diversity to the Virginia snakes list. Eastern Kingsnakes (Lampropeltis getula), for example, are the dominant kingsnake species. They generally have a black body with a series of thin white bands down the back. 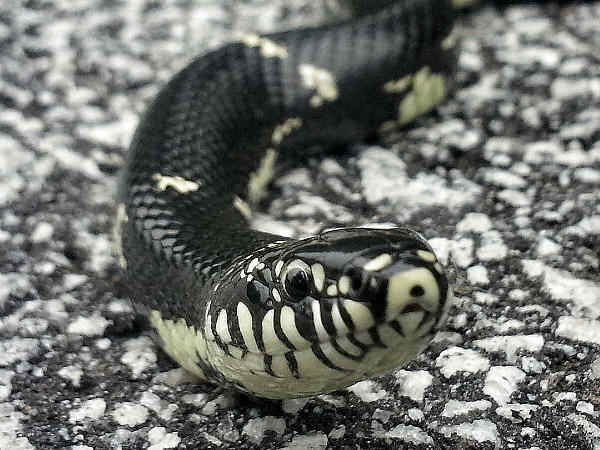 The picture shows a face view of the Eastern Kingsnake. The Scarlet and Black Kingsnakes have very small populations. The Yellow-bellied subspecies in Virginia is common in all areas east of the mountains. 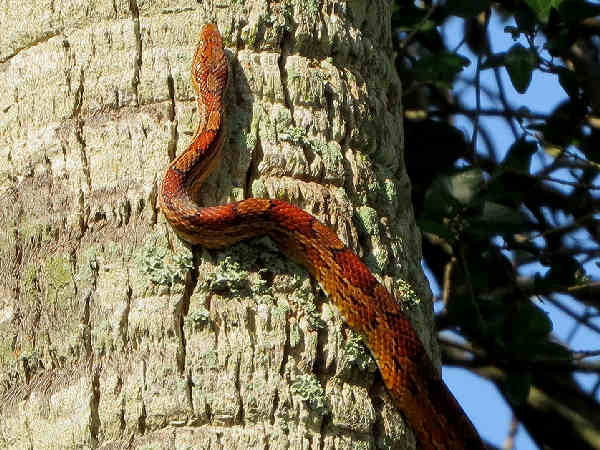 The corn snake (Pantherophis guttatus) inhabits a variety of forest areas in the center areas of Virginia. The Northern Watersnake (Nerodia sipedon) extends its range throughout the state. 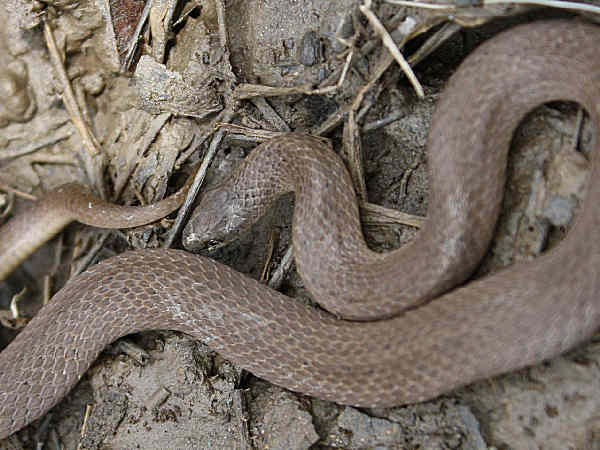 Both the Brown Watersnake and Plain-bellied Watersnake can be found in the southeast. 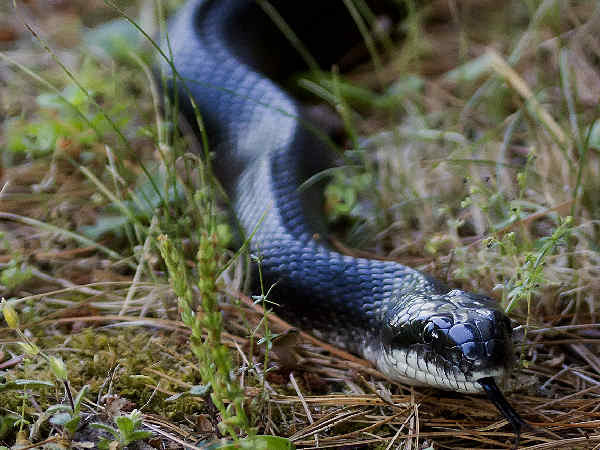 Black Racer (Coluber constrictor) is the general name for one of the most widespread of all the snakes native to the United States. They are very common in the Commonwealth. Eastern Hognose snakes (Heterodon platirhinos) can assume a variety of colors and are the most wide ranging of species. They are fairly common in the state. 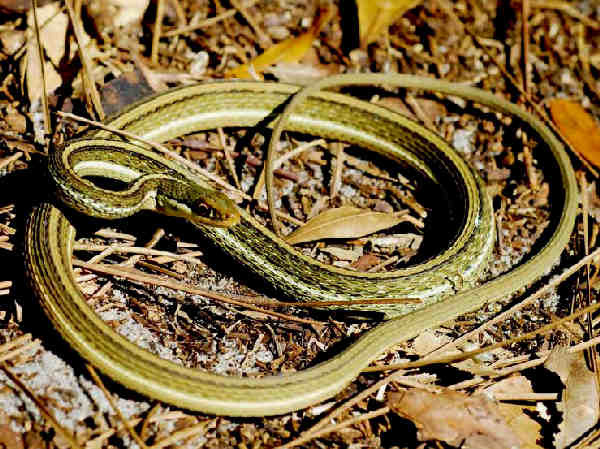 The Eastern Ribbon Snake has a distinct pattern on the body as well as the common stripes. 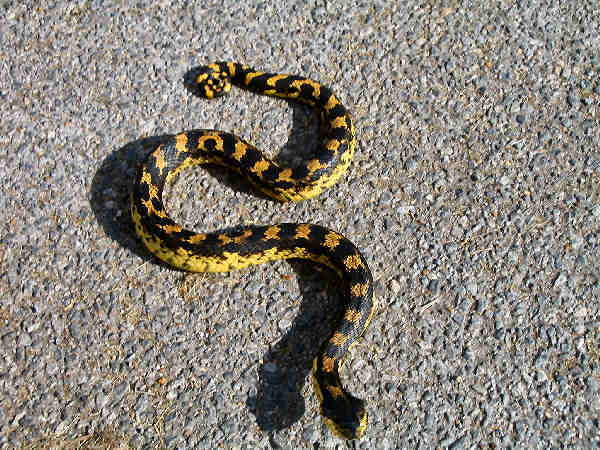 Virginia also is home to the Common Garter Snake. 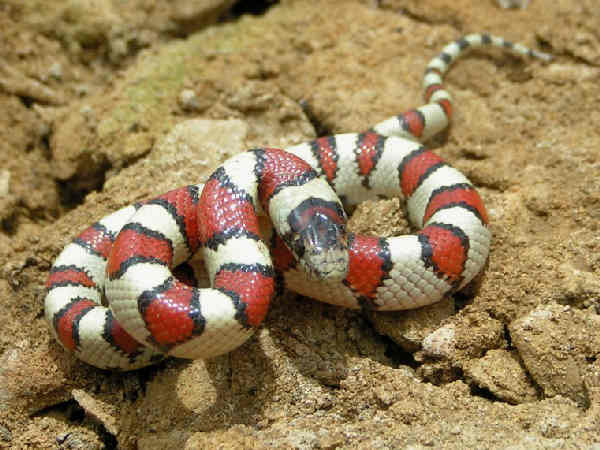 It’s easy to mistake the Scarletsnake (Cemophora coccinea) for a Milksnake or Kingsnake. They are a separate genera and fairly common in the Southeast. 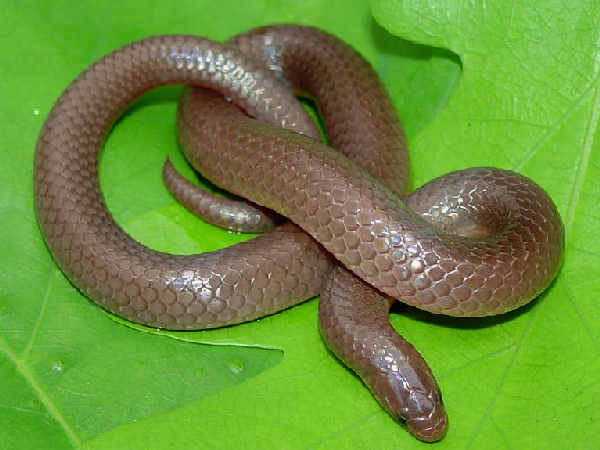 Snakes in the genus Farancia, don’t get much copy or recognition, primarily because they inhabit areas most often not inhabited by humans. 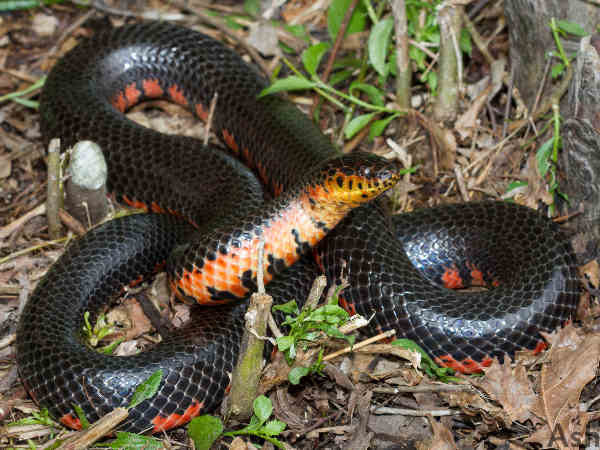 Two species, the Mud Snake and Rainbow Snake live in the muddy waters of ponds, creeks, swamps and slow moving Southeast streams, and the range also extends a bit up the Mississippi River Valley. Both species live in the southeast portions of Virginia. Eastern Wormsnake (Carphophis amoenus) is a very small and thin snake that inhabits forested areas in most parts of Virginia. 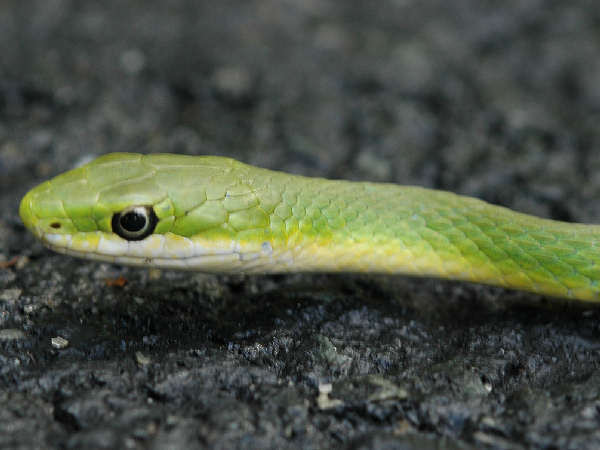 Virginia residents can often see Smooth Greensnakes in the yard. They grow about a foot in length and are sometimes called grass snakes. Their diet consists of insects in their territory. Space limitations means some of the snake pictures and information can be found by pressing the snakes button at the top of the page. Here’s a quick list of the remaining Virginia snakes.